If you are planning to take part in motorcycle trip during which you will visit Kazakhstan, Uzbekistan, Kyrgyzstan, Tajikistan, please, learn about the order of arrival in these countries. Citizens of 60 countries DO NOT NEED a visa to enter Kazakhstan. Depending on their nationality, foreign citizens can stay in Kazakhstan for 14 to 90 days visa free. In all other cases, foreign citizens should apply for a visa at diplomatic representations of Kazakhstan abroad. Citizens of 5 countries do not need a letter of invitation (LOI) or visa support provided by a travel agency. The following links provide more details for questions regarding visas to Kazakhstan. - Visa at the Embassy. - Registration is not required, two stamps are put upon arrival. The following paragraphs provide detailed insight into Kazakhstan visa and registration issues. Citizens of the following countries, who are eligible visa free entry to Kazakhstan, are divided into two: those who do not need registration of stay upon arrival and those who should hurry up to get it resolved within 5 days of entering the country. * Visa-free entry is allowed once in a year. ** Registration of stay at the immigration police is required after 30 days of arrival. If you are planning to visit Kazakhstan and your country is not in the visa-free list, you need to apply for Visa Support, also known as Letter of Invitation (LOI), before applying for visa. Visa support is obtained via/from a travel agency. You can apply as early as 3 months, but no later than 20 days before your trip. Application processing time is up to 2 weeks. Approved visa support form is faxed directly to the Kazakh Embassy or Consulate you have indicated in your application. You will receive a reference (telex) number of the approved Kazakhstan Visa Support (LOI). You need to provide it with your visa application. Note: The Ministry of Foreign Affairs reserves the right to deny any application for Kazakhstan visa support without providing further explanations or may request additional information (e.g. , letter from the employer confirming the employment). It is possible to obtain a visa at the international arrivals lounge of Astana and Almaty International Airports, if there is no Kazakhstan Embassy or Consulate in the country. For 5 days transit visas, the visa of the destination country and onward ticket (or a reservation) are required. The passport should not expire earlier than six months after the validity term of the requested visa. Other necessary documents will be determined by the consul at the time of application. Visas are issued within 7 calendar days from the day of presenting all documents. Documents are accepted with a visa support letter from the Diplomatic-consular service of the Ministry of Foreign Affairs of the Republic of Kazakhstan. Citizens of the following countries are eligible to obtain visa without a Letter of Invitation (LOI, a.k.a Visa Support) if they are applying for single-entry visas of categories A1, A2, B1, B2, D1 and G1, as well as single and double entry visa of category F1. Where to apply for Kazakhstan Visa? The citizens of the foreign countries that do not need the letter of invitation can also obtain a tourist visa on arrival at consular posts of the MFA at Astana, Almaty, Atyrau, Uralsk and Ust-Kamenogorsk airports with special applications of travel agencies to the DCS of the MFA. -Diplomatic Kazakhstan visa - А1, А2, А3: issued to holders of diplomatic passports and in some instances, when the issue of a diplomatic visa has been recognized expedient. Diplomatic visas are registered without levy of consular fees. -Official Kazakhstan visa - B1, B2, B3: issued to personnel of foreign diplomatic and other representations and international organizations, who are not considered diplomatic personnel, and also to foreign citizens and persons without citizenship traveling on business, invited by government bodies of the Republic of Kazakhstan. -Investor Kazakhstan visa - С1, С2: issued to genuine investors - managers and representatives of managerial staff of major foreign companies, operating on the Kazakhstani market or who have genuine plans to develop business projects. -Work visas - M1, M2, M3, M4, M5: issued upon provision of a permission for foreign labor recruitment and other documents, unless stated otherwise by an international treaty or agreement of the Republic of Kazakhstan. -Business Kazakhstan visa - D1, D2, D3, D4, D5, D6, D7, D8: issued to foreign citizens and persons without citizenship traveling to Kazakhstan for business (to attend business negotiations, forums, market research, etc.) upon application of non-governmental legal entities, registered on the territory of the Republic of Kazakhstan. -Tourist Kazakhstan visa - F1: issued upon approval of a local travel agency's application, licenses to operate as such. -Study visa - L1, L2: issued with permission of the immigration police upon application of educational institutions. -Visas for medical treatment - G1, G2, G3, G4: issued to foreigners and persons without citizenship traveling to Kazakhstan for treatment, medical checks, consultations and similar reasons upon application of the relevant institutions and organizations confirming the character of the invitation. -Visas for permanent residence - J1, J2, J3: issued upon provision of documents stipulated by the legislation. -Transit Kazakhstan visa - H1: issued upon provision of a visa valid to enter the country of destination and relevant tickets with confirmation of departure date from the transfer point on the territory of Kazakhstan, no later than 5 days from the moment of arrival to the port or station in Kazakhstan. Address: 8 Kilometr, Gargaresh street, Madina Siyahia av. Address: 11145 Stockholm, Birger Jarlsgatan 37, 3tr. Visa-free entry to Kyrgyzstan is valid for the citizens of more than 60 countries from 30 up to 90 days. Some 21 nationalities do not need LOI/Visa Support from a travel agency to apply Kyrgyz visa and can obtain it on arrival at the international airport in Bishkek. If you have not found your nationality in the following links of our Kyrgyzstan travel guide, check out addresses of embassies and list of documents required for visa application. Kyrgyzstan is the most open country in Central Asia for tourists. Citizens from many countries can enter Kyrgyzstan without a visa, for periods ranging from 10 days to unlimited stays. E-visas and visas on arrival are also available for visitors. Citizens of all countries, including Hong Kong, Macau and Taiwan, can apply for an e-visa from the Ministry of Foreign Affairs through the www.evisa.e-gov.kg website. Processing takes 3 days, and the price will depend on the duration (from 30 to 90 days) and the number of entries. Payments can be made with VISA and MasterCard. It is important to note that the electronic visa is valid only for arrivals and departures at Manas International Airport (Bishkek), Osh International Airport (Osh), and Ak-Jol (Kyrgyzstan-Kazakhstan border). If you are planning to arrive or depart from any other border crossing, you need to obtain visa at the embassy. For citizens of all other countries, visa support (including a LOI) will be necessary to receive a visa to Kyrgyzstan. If you are applying for a Kyrgyz visa in a country other than your country of citizenship, we will need a copy of your visa to this country. - Citizens of some countries must register at local police stations (OVIR/OVD) within 5 days of arrival, including weekends and the date of arrival. Registration can be provided as a separate service. As a general rule, citizens of countries that require visas to enter Kyrgyzstan will need to register within 5 days of entering the country. Uzbekistan is a notable exception, as citizens do not need a visa but need to register. - Citizens of 92 countries are exempt from registration for a specified period of stay. Please check here if you are exempt from registering. Failure to register will result in a 10,000 som fine, and border guards will not let you leave the country until it has been paid. This may result in missing flights and extra expenses. - There are some regions that require additional documentation in order to visit or pass through. Most of these regions are near the border with China, in Issyk-Kul and Naryn Provinces. Be aware that attempting to travel to these regions without a permit can be dangerous, and may result in serious trouble with the Kyrgyz government. These regions include Karkyra, Inylchek, the areas around Pobeda Peak and Khan Tengri, Kel-Suu, At-Bashi, Ak-Sai, Peak Lenin, and near Torugart. Citizens of 9 CIS countries can travel to Uzbekistan without visa for up to 60 days. Recent visa reforms have granted visa free travel to 55 countries for up to 30 days. Citizens of 76 countries can obtain e-visa. Other countries need LOI (letter of invitation) from a licensed travel agency if they are obtaining a visa in their country of citizenship. Click below to learn more about visa support and visa application requirements. To enter Uzbekistan or transit through its territory, a visa is generally required. However, a visa-free entry regime applies to citizens of certain countries. In addition, citizens of 54 countries can transit Uzbekistan for up to 5 days without a visa. Electronic visas were introduced on 15 July 2018. More information on Uzbekistan’s visa requirements and the application process are provided below. Citizens of the following CIS countries do not need an Uzbekistan visa for visits of up to 60 days: Armenia, Azerbaijan, Belarus, Georgia, Kazakhstan, Kyrgyzstan, Moldova, Russia, and Ukraine. To simplify the visa process, the Government of Uzbekistan has launched the e-visa electronic portal for citizens of 76 countries. To obtain an e-visa, you need to fill in an application form online. You will then receive confirmation by email that the application has been received, and will be asked to pay a fee of US$20. Within 3 working days you will receive the electronic visa by email in PDF format. In the unlikely event that the e-visa is not granted, you will be notified by email. You may wish to try applying for an Uzbekistan visa at an embassy or consulate instead. Important: Only tourist visas are available through the portal. An electronic visa allows a single entry into Uzbekistan for up to 30 days, and is valid for 90 days from the date of issue. More detailed information on the electronic visa to Uzbekistan is available here. Obtaining a visa from an Embassy or Consulate of the Republic of Uzbekistan — or, in some cases, obtaining a visa on arrival at the airport. Visa support is a kind of permission for a tourist to apply for a visa to Uzbekistan. A travel agency licensed by the State Committee for Tourism Development must submit, on the tourist’s behalf, a letter of invitation (LOI) to the Ministry of Foreign Affairs of Uzbekistan. The Ministry reviews the document within 7 working days. After this, the Ministry sends its permission by telex to the embassy or consulate at which the tourist plans to apply for the visa. Once the Ministry has granted its permission, the travel agency provides the tourist with the telex number that he or she will need to provide as a reference when applying for the visa. The Ministry has the right to refuse to issue the visa support without providing an explanation. If you haven't found your nationality in the visa-free and e-visa lists, you will need to obtain Visa Support, a.k.a. a Letter Of Invitation (LOI) and apply for an Uzbekistan visa at the embassy. We would be pleased to provide you with visa support at no extra cost as a part of a tour package booked with us. Please note that, to obtain the visa, you will also have to pay consular fees at the Embassy or Consulate. These fees range from US$40 to US$200, depending on your citizenship and the duration of your stay. After you receive the telex number, you can apply for your visa at an embassy or consulate. You will need to provide your completed visa application form, your passport, telex number, and one passport-size photo; and pay the consular fees. You can download the official application form for an Uzbek tourist visa from: evisa.mfa.uz. This form is accepted in all embassies and consulates of Uzbekistan. • You have insufficient time to get a visa at an embassy or consulate of the Republic of Uzbekistan (if you are travelling to Uzbekistan via a country with an embassy but only spending a short time there, or if you live in a country with an embassy but your visit to Uzbekistan is within the next 2 months). If you are from a country eligible for an e-visa, we recommend that you apply for an e-visa rather than a visa on arrival. To obtain a visa on arrival, you must present your passport, return ticket, and visa fee (in cash) at the visa desk in the airport. If you are from a country that is not eligible for the e-visa, you must also present a visa support letter. You must apply for visa support in advance (see process above). After the declaration of independence on August 31, 1991 Uzbekistan was able to conduct an independent foreign policy, based on the main principles of priority of the national interests of the state, international law, non-interference in the internal affairs of other states, development of external relations on the basis of cooperation in international economic and financial organizations. During the first year of independence of Uzbekistan, more than 100 foreign states recognized this young state and expressed their willingness to develop economic and cultural relations with Uzbekistan. Today there are 32 Uzbekistan embassies abroad. Citizens of Armenia, Azerbaijan, Belarus, Georgia, Kazakhstan, Kyrgyzstan, Moldova, Russia, and Ukraine can travel to Tajikistan VISA FREE, as can some holders of diplomatic and service passports. Simplified visa procedures for visa upon arrival in Dushanbe International Airport are available for citizens of 81 countries. If you plan on entering Tajikistan over a land border, e-visas are recommended. Citizens of the 20+ countries that have Tajik embassies in their countries should apply for a visa in their home country, either through the simplified visa regime or e-visa. A regular visa is required for those whom the above categories do not apply. How to get Tajikistan visa and GBAO permit. 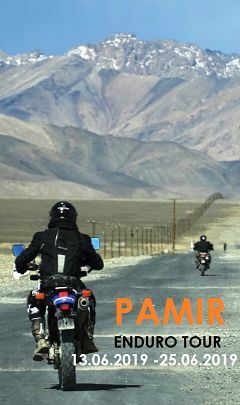 -One entry tourist visa to Tajikistan and GBAO permit ( GBAO means Pamir area). The passport holders of the following nationalities (countries) are eligible to enter Tajikistan without visa. Tajikistan has simplified visa obtaining for the citizens of 81 countries to promote tourism and create favorable conditions for investors. The rules differ if there is a Tajik embassy in the applicant’s home-country. Citizens of the following countries are not eligible for visa upon arrival, as there is an embassy or consulate of the Republic of Tajikistan in their home country. Still, the visa application procedure is simplified; they only need to fill out the application on the website of the Ministry of Foreign Affairs of the Republic of Tajikistan. After, MFA of Tajikistan will review the application during 1-5 days and send a confirmation to the electronic address of the applicant inviting to the interview, where they will photograph and take fingerprints. They also can obtain electronic visa on the website www.evisa.tj that will free from the hassle of visiting the embassy. E-visa will cost 52 USD. Valid passport with 2 clear pages for visa and entry/exit stamps. Six months validity rule is imposed. (!) If you plan to visit Gorno-Badakhsan Autonomous region a.k.a Pamir region, you should submit a letter requesting a permit.